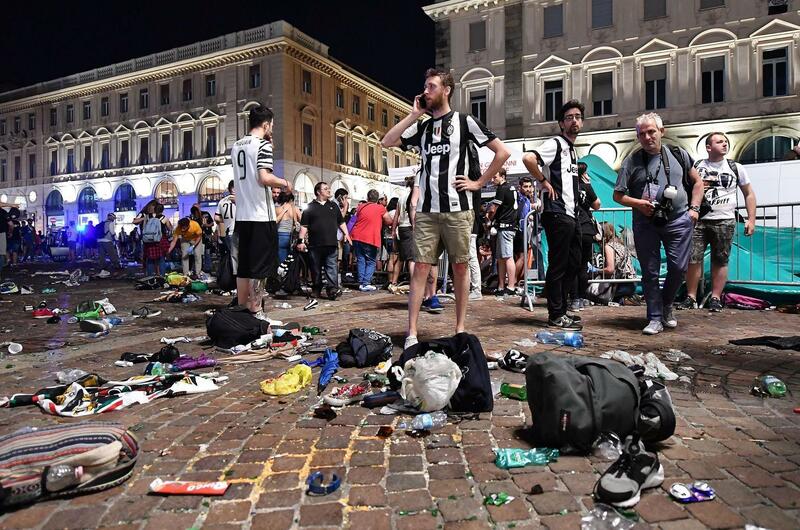 MILAN – More than 1,500 people were injured when panic swept through a crowd of Juventus fans watching the Champions League final in a piazza in the northern Italian city of Turin, authorities said Sunday. The Turin prefect said in a statement that the crowd “was taken by panic and by the psychosis of a terror attack,” fearing that a loud noise was caused by attackers. The source of the loud noise that triggered the stampede remained unclear, officials said. Published: June 4, 2017, 6:25 p.m. Updated: June 4, 2017, 10:19 p.m.